Juse (pronounced like “Juice”) have been throwing out their brand of punk influenced rock in Ogden for almost four years. 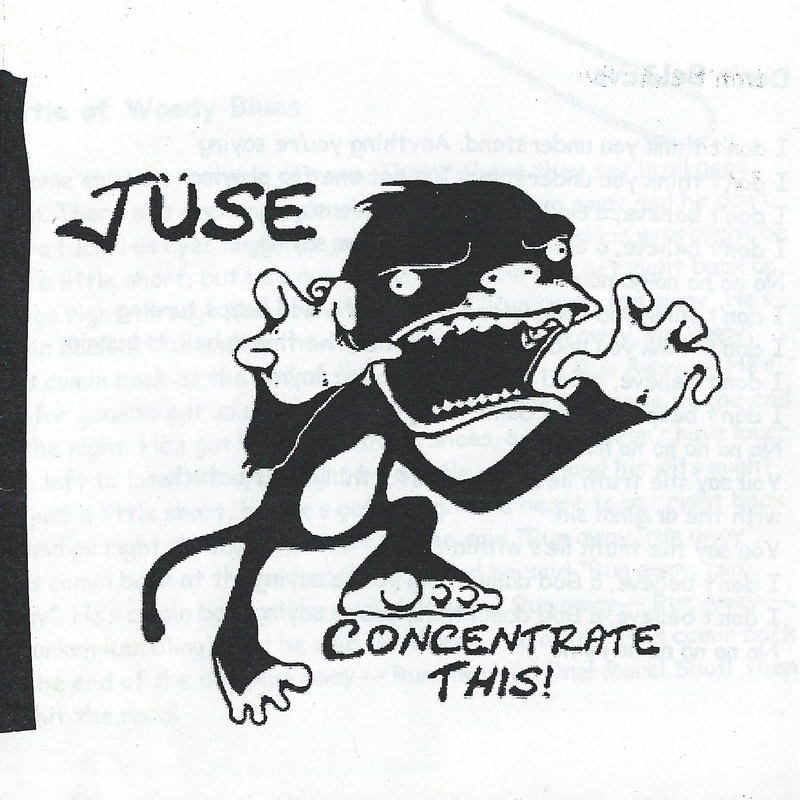 With Concentrate This!, Juse presents some interesting songs with plenty of energy, but it’s a little too rough around the edges to stand out. Lead singer Cecil sounds like everyone from Danzig to Lane Staley to Matt Freeman on tracks that incorporate elements of grunge and even a little bit of ska into their style, but the rough musicianship and poor production really do a lot to hurt this release. Every time a guitar solo pops up, it seems to knock the songs off beat and it’s easy to notice when the band misses a couple of notes. A few of the songs go on for far to long, and the sound quality is always murky and muffled. “Show ’em the Oi!” is the standout track, where the reckless intensity of the band and Cecil’s aggressive vocals are actually enhanced by the production that plagues the other tracks. Concentrate This! definitely shows that Juse has some great potential, they just need to refine their game a little.